Darrell and Me & "Sergei" and "Alina"
There is a lot of information on our website. Be sure to scroll down each page! Awesome "Dad" to all of the dogs and also to the puppies that are born here... Best Socializing Papa ever! 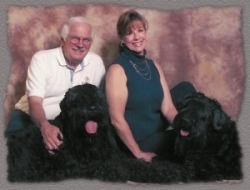 We live in Colorado, USA..
Just west of Denver with our 3 Black Russian Terriers....."Andre", "Cha Cha" and their daughter "Danika"
We love raising puppies and we are proud of the dogs we produce. It is my passion to see the new little lives come into the world and know that they are going to make a family or a person happy and give them the joy we have known being loved by a BRT. 2013-2014 Metro Mile High Kennel Club - Vice President, Chief Ring Steward and AKC Compliance Chairman. 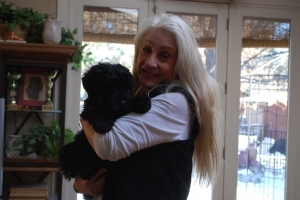 Active in Animal Legislation for Colorado. BRT Rescue Contact in Colorado and anything BRT "help" related. Coach to Private Practice Professionals in Animal Related Businesses. 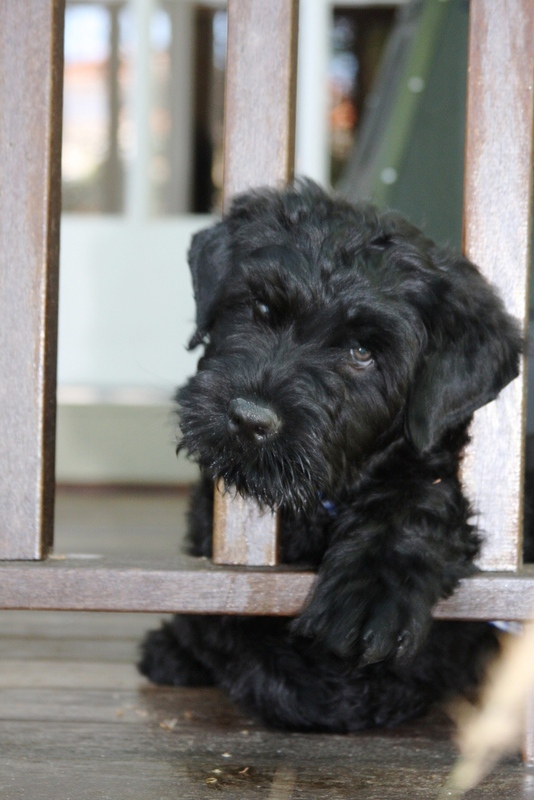 BREEDING PHILOSOPHY We strive to produce Black Russian Terrier puppies with excellent temperaments, structure, health and natural beauty. Our program is enhanced by our ongoing study of modern genetics, health issues, history, purpose of the breed and pedigrees. We also do health testing of hips, elbows, patellas, eyes, thyroid and heart of the sire and dam before breeding. We have added DNA testing where necessary...regarding HU and Color. Our girls are provided with the finest prenatal care possible including the use of .Whelp Wise. Our puppies are raised in our home with constant socialization and puppy stimulation "Early Neurological Stimulation" aka "Super Dog Program" techniques. All of our puppies are temperament tested at 7 weeks. We strive to match each BRT puppy with owners that are compatible with their personalities. Our puppies have their first shots, worming, Cerf exams and are Micro-Chipped before they go to their new homes. DeSagres puppies are sold with a contract and AKC registration papers. We refund a portion of the cost for health testing by the owner upon reciept of the results. The knowledge collected helps us with our breeding program. Our methods result in puppies with superior minds and bodies that are loyal and very strong in character. DeSagres puppies are versatile as Obedience, Agility and Dog Show competitors, personal protection dogs and most of all loving family members. 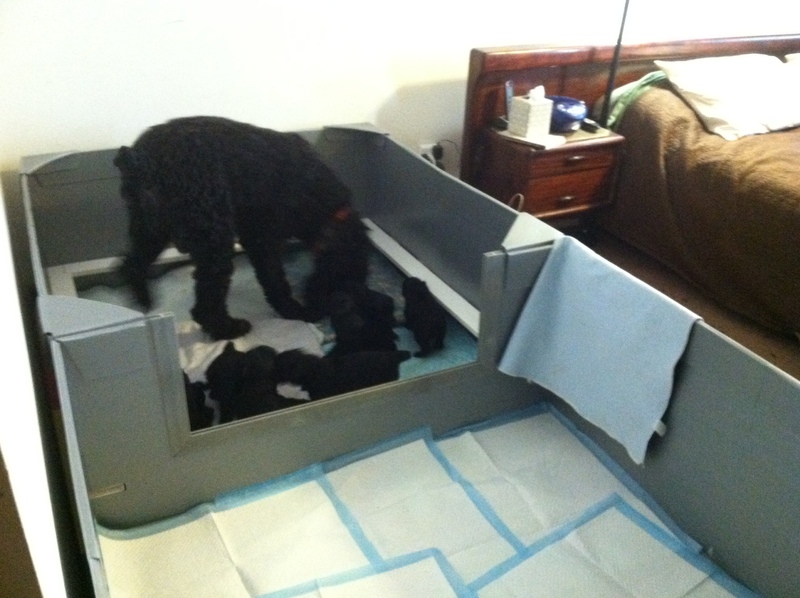 Our litters are planned with the careful consideration of many factors. First and formost we breed to improve our line and to preserve some of the old working lines. Thus we do not breed often. If you are interested in having a DeSagres puppy please fill out the Puppy Application and we will add your name to our list for the next litter. We believe in full disclosure of our dogs' health and temperament and are always available to answer any questions, so please don't hesitate to call! We are NOT a Kennel Facility..
Occassionally some one will call and want to come see our dogs and our Kennel "FACILITY". We are hobby breeders not commercial breeders. 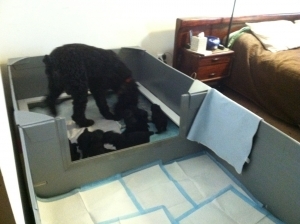 We have one very special litter at a time so each puppy gets our undivided attention. We love to hear from BRT lovers across the Planet! Copyright 2013 DeSagres BRTs. All Rights Reserved.